Teeth whitening is a common procedure requested by Pasadena area dentist, Dr. Vasag Bouzoghlanian. Patients in and around the area are well aware of how easy it can be to rejuvenate the smile. Issues such as staining and discoloration can often detract from an otherwise beautiful smile, and patients find that over-the-counter whitening products fail to deliver the expected results. Instead, the team of Prestige Dental encourages patients to consider the advantages of professional teeth whitening solutions. Teeth whitening is available for new and existing patients in our practice. 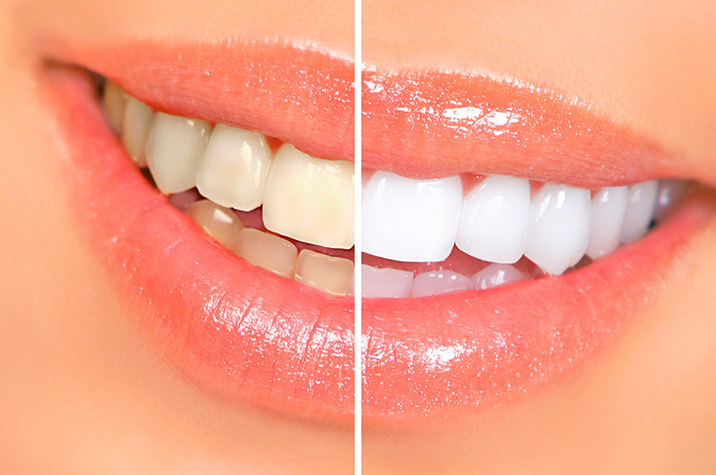 We offer two types, including our in-office power bleaching and our take-home whitening trays. Both are effective in achieving desirable results that far exceed patient expectations. In-office power bleaching is the fastest, most effective way to achieve a whiter smile. This treatment is done in our office with the assistance of our professional dental staff. The procedure is performed quickly, with patients spending less than two hours total in our practice. The teeth are bleached and patients will see results up to eight shades brighter. The procedure starts with a cleaning and then the bleaching process begins while patients relax in the dental chair. When completed, another cleaning is performed and patients are sent on their way with their rejuvenated smile! The other option at our practice is our take-home whitening trays. These are custom-made for patients to use in the privacy of their own homes. The trays are fabricated using impressions of the natural smile and the used along with highly concentrated gels. Patients place the gel into the trays and wear the trays for a specific period of time each day to gradually brighten their smile. Your appointment is a phone call away! At Prestige Dental, patients have access to a wide variety of procedures to improve the health, appearance, and function of their smiles. If you are interested in learning more about how to choose the right teeth whitening procedure for you, contact our staff today at (626) 577-2017. The practice of Dr. Vasag Bouzoghlanian is conveniently located at 1060 E Green Street, #203 Pasadena, CA.